The Boeing 707 which plunged into the slopes of Mount Fuji on 5 March 1966 was the third aircraft to crash in Japan in just four weeks. All 124 people on board lost their lives in the disaster - including several who had survived the crash at Tokyo airport the previous day. Your memories of the accident. 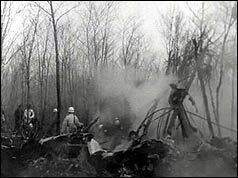 A young woman from my home town of Milton, Massachusetts, died in this tragic plane crash. I thought of her four years later when I saw Mount Fuji while visiting Japan to tour the World's Fair at Expo '70 in Osaka. I guessed then that the view of that sacred mountain was the last thing she saw, and your news coverage of it seems to indicate that. The saddest thing I remember about this BOAC crash is that the doomed plane had on board several survivors of the Canada Pacific DC-8 plane that crashed the previous day at Tokyo with 64 fatalities. Some of those who survived the first plane crash continued their journey on the BOAC plane only to find themselves involved in a second incident in two days. Most people go a lifetime without a single plane crash. The same people being involved in two crashes in two days is statistically staggering. I went with my wife and our boy to Kyoto for a picnic the day before the tragedy in 1966. We met many times with the Mount Fuji victims - at the Heian shrine, at Kinkakuji temple and at Kiyomizu temple. We thought they were well-mannered modest people. On the next day afternoon, we saw the TV news of the accident at a hotel in Nara. My grandfather's company, "Utility Trailer Sales" was on this plane. He had been planning to go with his wife, but cancelled last minute and sent his son John J Markovich and Ruth Markovich, his son's wife, on this trip instead; too busy with work to go. I was five years old at the time and stayed with my grandparents while my parents went on the company trip. What is unusual is that my mother (Ruth) had written her mother a few letters having concern about flying back on this flight. She wanted to wait awhile for she had an intuitive fear that something would happen to this flight. I remember at five years old telling my parents that they should not go on this flight because they were going to die and not come back. I ran upstairs to the window at my grandparents' house where I was dropped off so I could see them leave and told my grandmother to look out the window please and see them off because they will not be coming back. My grandmother said that if you don't stop this, you will not get dinner. I said I don't care please look out the window... she refused. Then I had a deep sinking realization that I was going to be here with grandma for a long long time. I remember this well. On 23 November 1965 I flew in first class on this type of aircraft to Hong Kong commanded by this pilot. The captain's son was also on board and for the sector to Bangkok we were companions. I felt deeply shocked less than a year later on hearing the news of the accident. In the event it seems that on the fateful day the captain was persuaded by some passengers to fly closely to Mount Fujiama so that they could get good photographs. An accident investigation team concluded in their report that severe clear air turbulence - which in those days was not easily detectable - coming off the Mountain brought about a catastrophic structural failure of the aircfraft. Subsequently instructions were sent out to all airlines setting out minimum operating distances from Mountains.